My Halloween party isn't kicking off until Saturday, so I don't actually have any pictures to share yet, but I promise to do a post a bit later. Instead, I'd like to round up all my Halloween daily posts from the month. 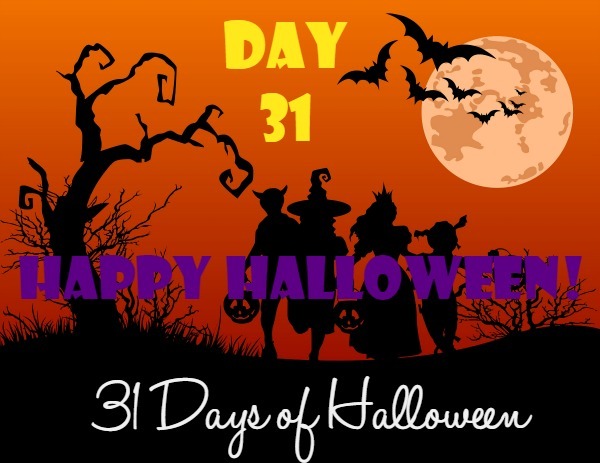 Day 31: What's scarier than a bad vacation? Unused vacation days! Day 30: I may like to poke around, supposedly, haunted venues, but I wouldn't be able to handle staying in a haunted hotel. If you can, here are 10 of the scariest. 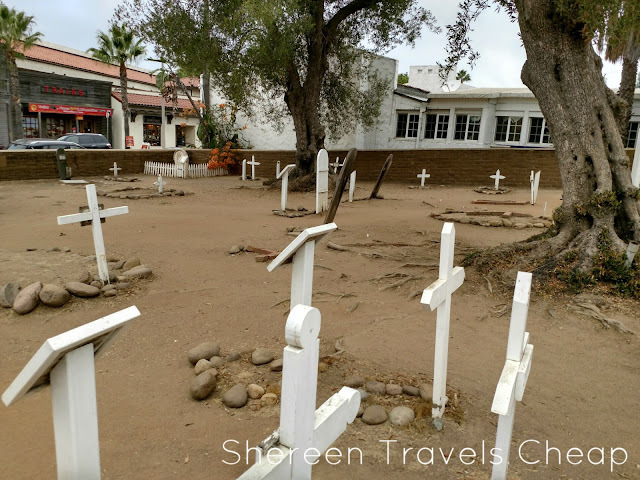 Day 29: There are creepy places, and then there are CREEPY places, though I've been to the Museum of Death and disagree with its creep factor. Maybe I'm the weirdo though. Day 28: If you want some amazing jack o'lantern inspiration for next year, Kevin Hearne has the most epic on his Twitter feed. Day 27: Ever wanted to visit the filming locations of your favorite horror films? Now you can! If you can find them. Day 26: Abandoned buildings and spaces are scary, yes, but they can also be beautiful. Check out these photos from France. Day 25: Is there anything scarier than being lost in the woods? This haunted experience takes advantage of those fears. Day 24: Folklore and ghost stories can be fun. Even more fun is going in search of those scary monsters. Day 23: What's worse than a dead or dying phone? A public outlet stealing all your info when you plug in! Day 22: Sometimes, traveling people are just "plane" strange. What's the weirdest thing YOU'VE ever seen on a flight? Airline employees weigh in. Day 21: Would you travel to talk to a bunch of like-minded people about death? There's a whole death positivity movement happening. Day 20: Oh no! Did you forget your pool floatie or leave it behind on vacation? Now it won't go to waste. Day 19: What's scarier than travel getting more expensive? What if you had to pay to drop someone at the airport?! Day 18: Does being lost in the middle of nowhere sound like a good time to you? 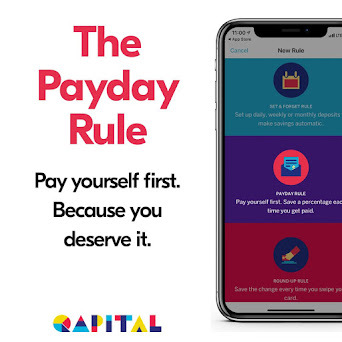 This company thinks so, and you'll pay them for it. Day 17: Are you looking to make some friends with some ghosts? 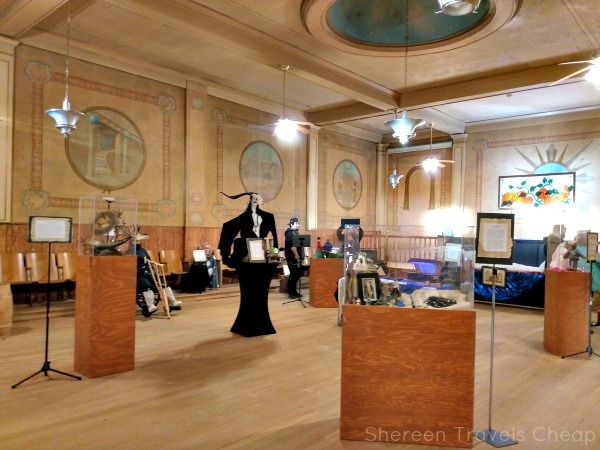 Here are 12 of the best haunted houses in the US. Day 16: Can you imagine checking into a hotel and being asked to check out of the country? Day 15: Sure, hurricanes and such are scary, but what about an erupting volcano? Day 14: It’s surprising that short, slippery, sandy, and uphill runways are even legal. These 9 airports may make you rethink travel. Day 13: Want to skip the regular hotel room and opt for something bizarre instead? Here are 9 wacky lodgings to choose from! Day 12: Abracadabra! 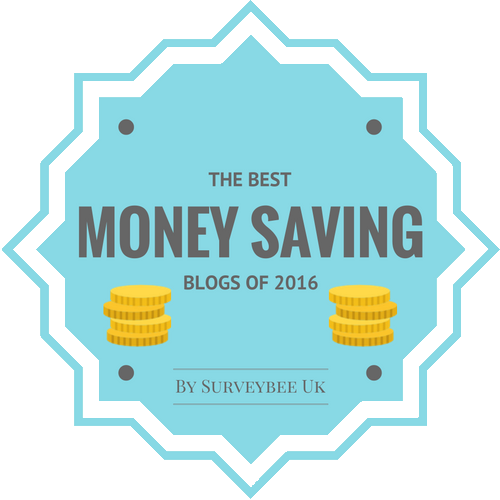 You just saved money! Day 11: Can't get away in October? Head to the most haunted place in your state to get some spooky fun. Day 10: Are you ready to get your hocus pocus on? Here are 10 places to do it. Day 9: 11 rickety old roller coasters that will terrify you. Day 7: Hate clowns? Well, here are 10 places haunted by those nightmare-inducing beings. Day 6: Travel during Halloween time is one of my favorites. Here are 13 places you can go for a spooky time. Day 5: Swimming with sharks sounds terrifying to ME. If you're into it, here's what it's like to swim with whale sharks. Day 4: One of these 5 things you should never do on a cruise can actually get you stranded. Whoa! Day 3: How nightmarish is it to get stuck at the airport due to an airline system failure? Day 2: Welp. Now it's Southwest's turn to make travelers angry. Day 1: If you're looking for a quick last-minute trip to plan, here are the best places to go this month. I hope you all are enjoying your Halloween celebrations. I dressed up as Wayne (Time! Excellent!) at work and will be dressing up for our annual party on Saturday. What are you dressing up as? 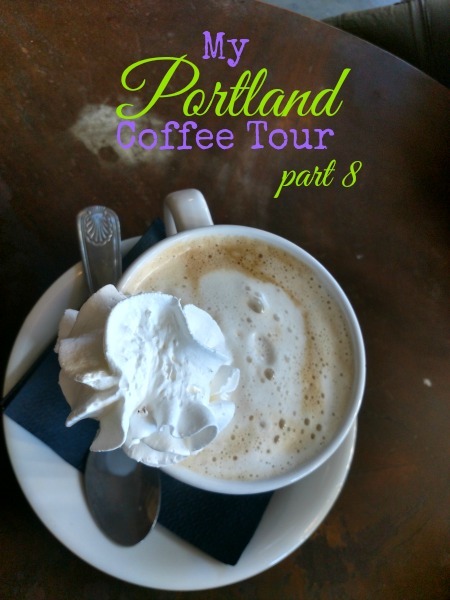 Okay, so this month has been incredibly busy and lacking in the coffee exploration in Portland, so I bring you one, then I want to talk to you about an amazing coffee shop we found in San Diego and that crazy Zombie Frappuccino from Starbucks. 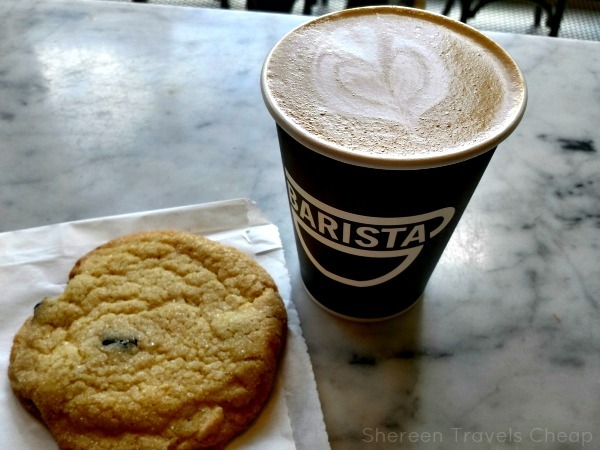 I hope to get back into my coffee crawl next month, when things have settled a bit and I am not working quite so much, but if I have to take a break, I will, in order to bring you more quality posts even if they are further apart. I've been told by a few people that Barista is a shop I needed to get to. They have a few different locations, including the one at Pine Street Market, but I saw it on the way to brunch with my mom, so we stopped in on our way back to the car for me to grab something real quick. The inside was small with only bar seating, but it's warm and inviting with wood and a giant window overlooking the street. I'm not usually one for a mocha, as they're usually too gritty, but I saw something called the Valrhona Mocha, and asked about it. Turns out, it's a type of dark chocolate that's 61% cocoa that is infused into the espresso and it was amazing. It was $5 for an 8oz, but it was like drinking a luxury dark chocolate bar with espresso inside it. It had a rich flavor that I could definitely get used to in my coffee. There aren't a lot of food options. 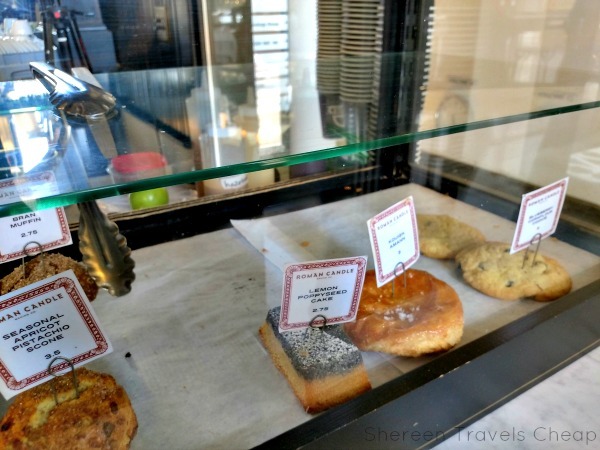 You're basically either going to get a pastry or a baked item. I opted for a blueberry cornflour cookie ($2), because it was incredibly different sounding. It was much like a sugar cookie, but with whole blueberries in it that I really enjoyed. I'd definitely be into trying to make something similar at home, maybe with added chocolate chips, for the holidays. I could see how cranberries would also work with the sweetness. Overall, I wouldn't go back to Barista for food, because it's lacking, but I would absolutely go back for the coffee. Only a block away from our timeshare building in San Diego was this coffee shop, that looked totally normal and modern on the outside with floor to ceiling windows and a fenced in outdoor eating area. 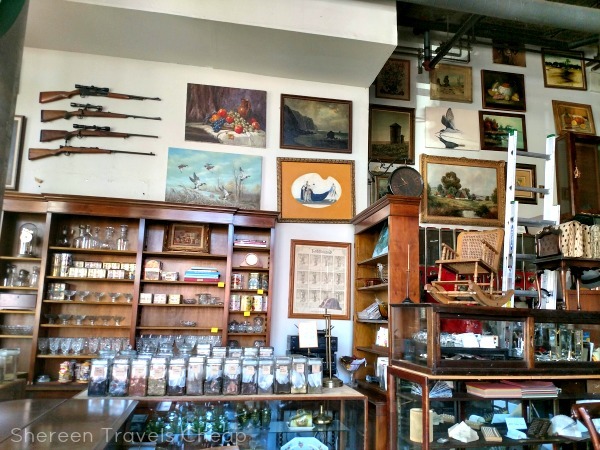 I didn't even care what they had when I looked them up and Google described the shop as a funky coffee house with antique furniture and rifles on the wall. I mean, what? You gotta go just to experience that weirdness, right? So, we rolled in one morning for breakfast and ordered an iced Vietnamese coffee (yum!) and a white chocolate mocha. 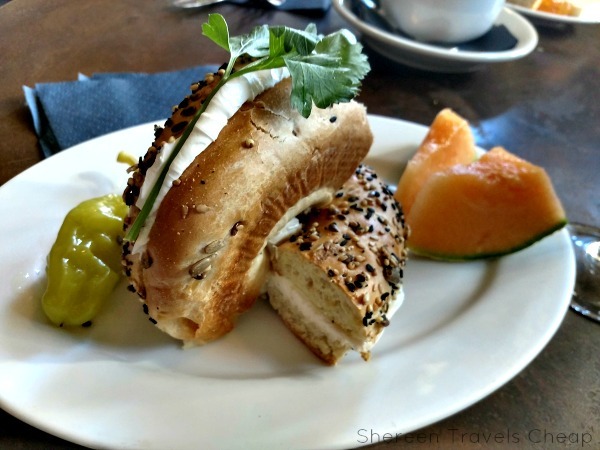 On top of that, I ordered a bagel, which is clearly the best presentation for a bagel I've ever gotten anywhere. So pretty. Eric ordered eggs and toast, which was a similar presentation, with toast, marmalade, steamed(!) eggs and a pile of fruit. He inhaled it. While we waited for our food and drinks to appear, I took a moment to look around and snap a hundred pictures, because what even is this place? My theory was that it was a antique store that was foreclosed on that just happened to have enough space for a coffee, so they just kept it all to be wacky, so I asked. The owner (Bassam) is from Palestine and an art and antique collector. 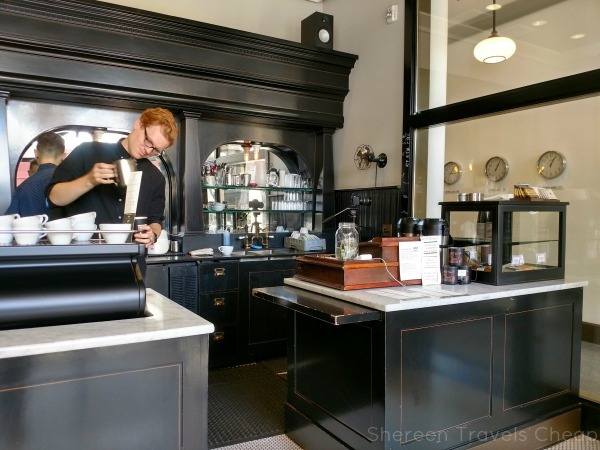 He created this coffee shop be a place people could gather and have the feel of a European cafe. They are open early and open late, so you can enjoy coffee (or wine or beer or a cigar) any time of the day. 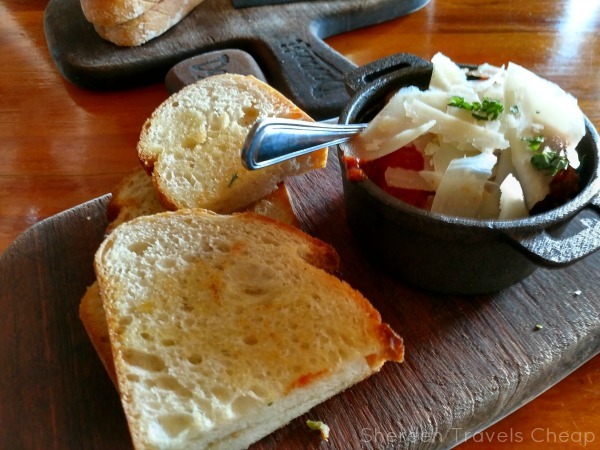 The vibe is eclectic, the employees are friendly, and everything we had was fantastic. If I lived in San Diego, this is the place I would drag people who claimed they'd never heard of it. Starbucks has been creating new drinks more and more frequently and have been serving up these limited edition beverages lately. 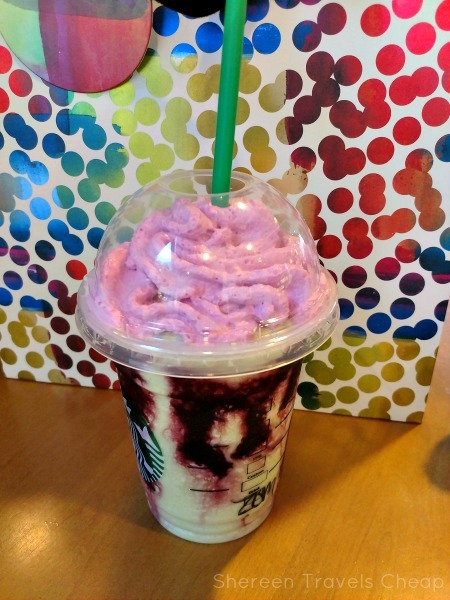 It started with crazy popular (and, apparently, violently sweet) unicorn frap. I wasn't willing to try that one, or fight people to get to the counter, but the zombie frap looked very much doable, even though there were mixed reviews. I admit, I kind of wanted it just for the whipped cream "brains". It has not been nearly as popular as the unicorn and with good reason. It is supposed to taste like caramel apples, but I didn't get any distinct taste from it at all. It was refreshing, yes, but there was no caramel or apple in my cup. But I've spent $5 on worse things, so I wasn't that disappointed, even though I was expecting Laffy Taffy flavor explosion. If you want to try it out for yourself, it's only available until Oct 31. 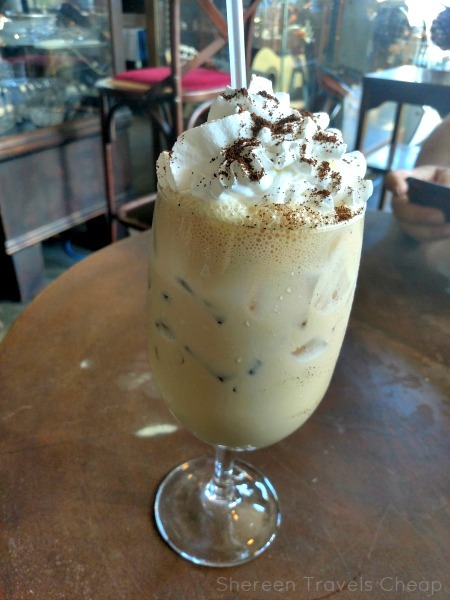 Do you have a favorite coffee house or an opinion on the Zombie Frap? 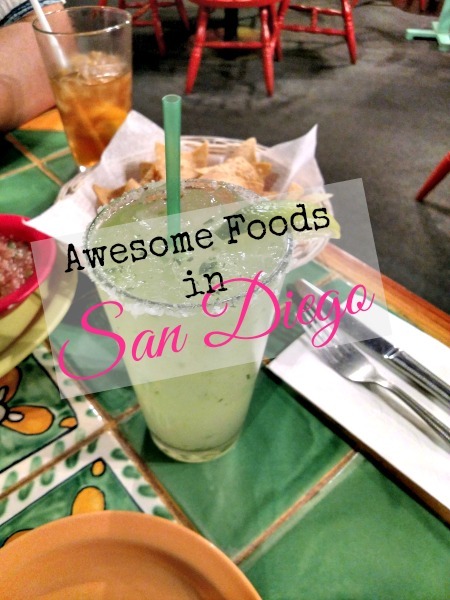 While in San Diego, we were in search of some really good food. 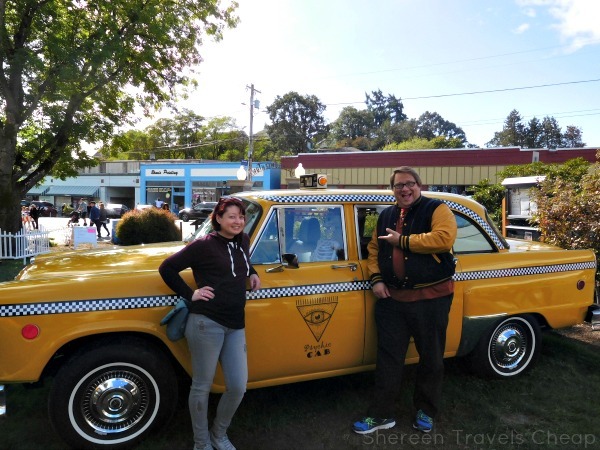 I employed my timeshare concierge as well as my Uber and Lyft drivers to help us find it. We did a pretty decent job of it, too. I had seen a restaurant really close to our home base and decided to try it based on the name. Jimmy Carter's Mexican Cafe? How could one resist. It has absolutely nothing to do with the president, and everything to do with yummy Mexican food. Our concierge recommended their cucumber margarita and, since we were literally across the street, I decided to go for it. The wait staff were super friendly and we weren't starving, so we split a plate of enchiladas and all that stuff on the plate, and a bowl of chips with two dips. Number one: if you're looking for a refreshing drink, this margarita is your best friend. It's delicious. 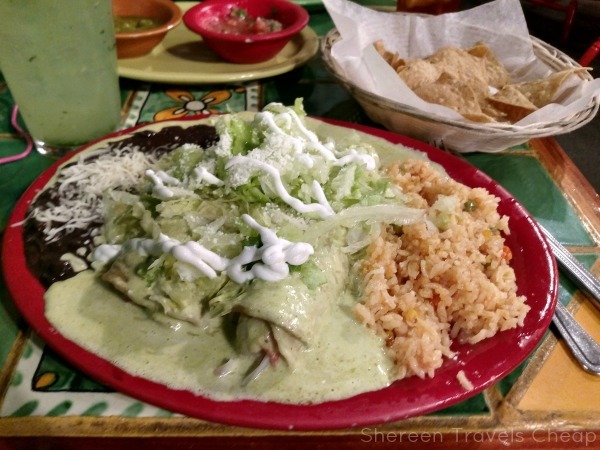 Number two: Even if you aren't that hungry, you'll wish you had these enchiladas all for yourself. It's probably the best enchiladas I've ever eaten. Like eat them every day good. The dish this came in was huge, and I totally thought it was someone's dinner when I saw it in the food window. This bread pudding was outstanding, and we even went to a dessert place that people raved about that wasn't as good, and cost twice as much. 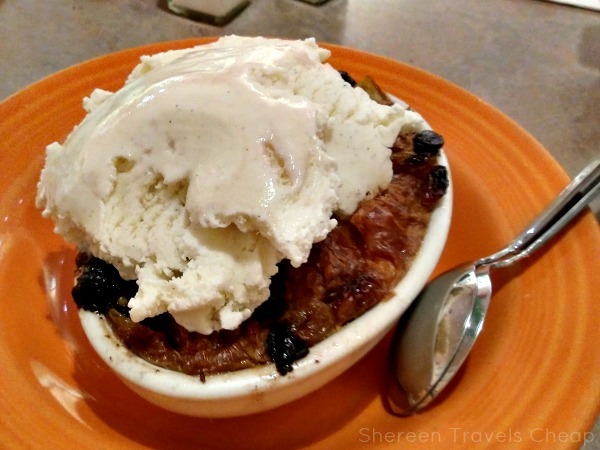 If you like bread pudding, this is a must-visit...but make sure to try the food as well. Crest Cafe was featured on Diners, Drive-Ins and Dives, which I didn't know until we were leaving. Have you ever been to a sit-down restaurant at a zoo? I haven't, but San Diego Zoo is pretty fancy, so it's not really a surprise they have a fancy place to eat in the middle of the park. At Albert's, I basically ordered a salad with shrimp on top, which was very good, but I saved my calories for dessert it seems. The waiter didn't seem to think this cake sounded that exciting and was surprised when I was like "yes! bring me that!" 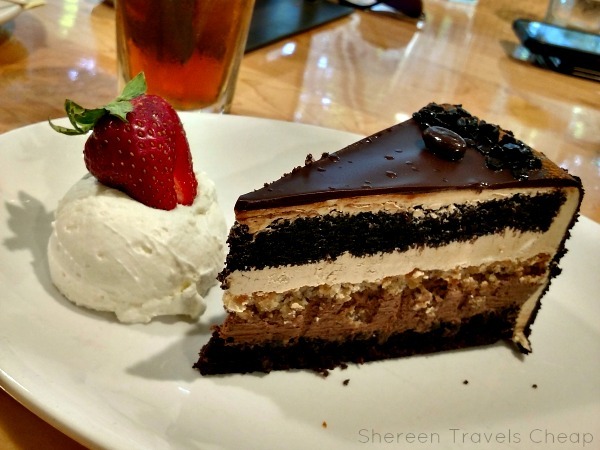 It was light, chocolaty, and just the right hint of coffee. Yum. By now you know I'm not a vegetarian, but I like to get my veggies in where I can. We spent a lot of time in Balboa Park and, while there are a lot of places to eat, there aren't a lot of truly interesting options. Prado is on the more upscale side, but worth it to spend a few dollars more to get something tasty and unique. 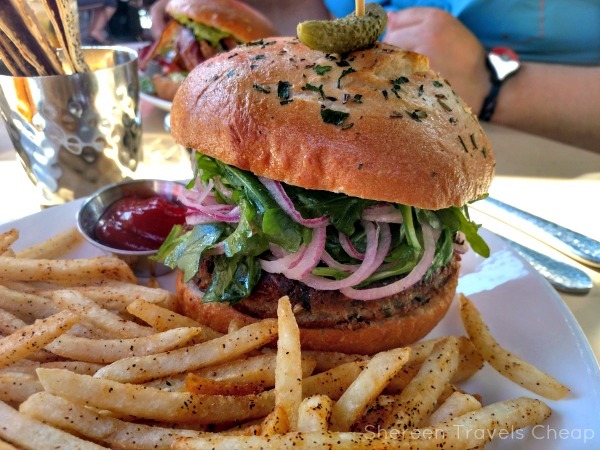 Eric ordered a chicken sandwich, but I was intrigued by this homemade veggie burger. Aside from being a bit dry, which would have been helped with a layer of hummus (which comes with chips instead of bread and butter), it was pretty good and beyond better than any other non-Boca Burger I've ever had out. It came with a heap of fries that were crispy perfection. We took half our food to go at Prado so we could indulge in this Tres Leches Cake. 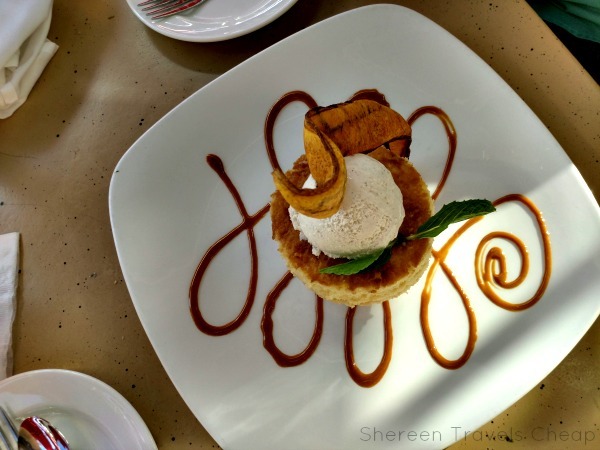 It had caramelized bananas baked right in and a layer of pistachio meringue on the bottom. It was phenomenal. The least appetizing thing on the plate was the ice cream. Ice cream! We didn't take any of this to go, because we demolished it. I love a good short rib. Probably because it's so fantastic being cooked in all that fat. 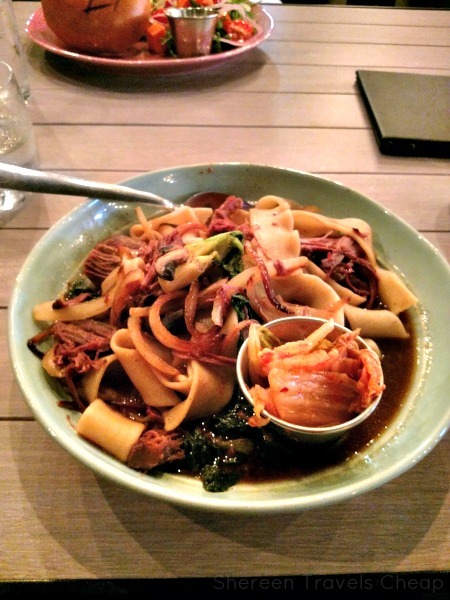 Either way, I was nomming on this big bowl of pasta and meat served at Two Seven Eight. It came with that side of kim chee you see. Normally, I don't do kim chee, but I didn't hate it. Eric, on the other hand, who does enjoy kim chee, didn't find it had enough bite for him. So, take that how you will. He ordered the goat cheese burger, because all of that sounded really good, and he said it was. I wouldn't come here if you're in a hurry. This is a great place to sit on the patio and just relax while enjoying a beverage. 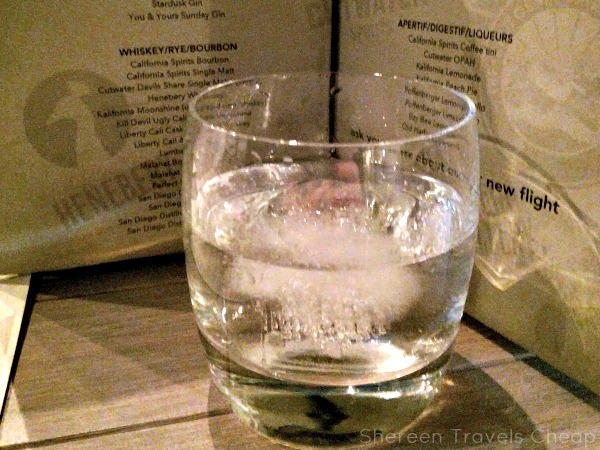 I flipped through the drink menu and saw that they served moonshine. I know it's had a bit of a revival lately, so I asked about it. The owner came out to give me a tasting, so I could decide what to order. If you want to put hair on your chest, Devil's Cut is the way to go. It's S.T.R.O.N.G. I passed on a whole glass of that for the smoother Kalifornia brand. The owners actually know the moonshiners and the son is the first in his family to actually make moonshine legally. They are local and they definitely know what they're doing. If you want something a bit different, bottoms up! We absolutely had to hit up a restaurant in Little Italy. 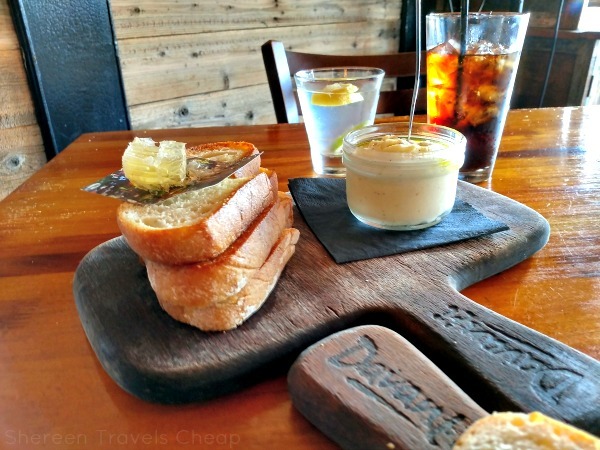 We wandered India Street in search of a suitable dining option with a good happy hour and settled on Davanti. It was a good choice, since their whole happy hour menu looked fantastic. Above is my favorite, the ricotta vasi. It's basically ricotta with lemon and olive oil, served with tasted baguette and a cube of honeycomb. The honey brings it all together and it's just soooooooooo good. Like, make a meal of it good. We took our leftovers home and had it for breakfast. The second best pick was polpette ripiene di mozzarella al forno, basically meatballs stuffed with mozzarella, in a red sauce and topped with all the parmesan cheese on earth. If you like meatballs, you can't go wrong with this. Do you like peppers? I'm not sure why I thought these would be stuffed, but they were only stuffed with their own seeds, giving them a kick of heat. 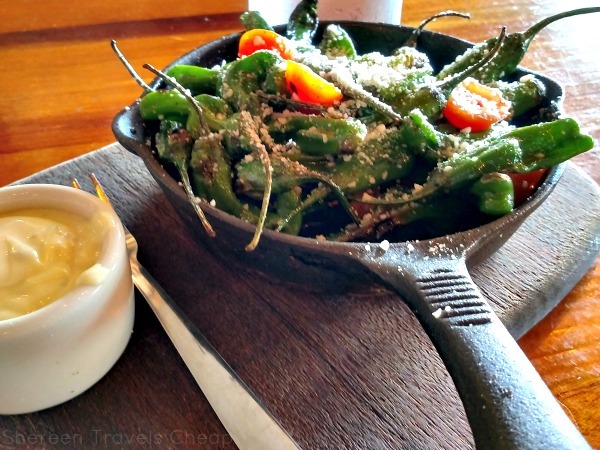 Peperone al forno are roasted pedron peppers with cherry tomatoes and a sprinkling of cheese (because Italian). We were wimps when it came to these and only ate about a quarter of the pan, but, to be fair, that pan was a lot larger than expected. I do wish we had also ordered the calamari, but we didn't, so I guess that's a goal for our next trip to San Diego. What's the best thing you've eaten out lately? No matter where you go on vacation there are bound to be free things to see and do. These things are a great way to make your trip dollars go further and allow you to do even more. As a fellow budget traveler, not only am I looking for fun and exciting stuff to do on my trips, I'm also looking for affordable ones. While I may want to cram as much in as possible, my bank account doesn't particularly allow it, so free things are an excellent way to pad out my schedule. If you know where to look, you can do the same. 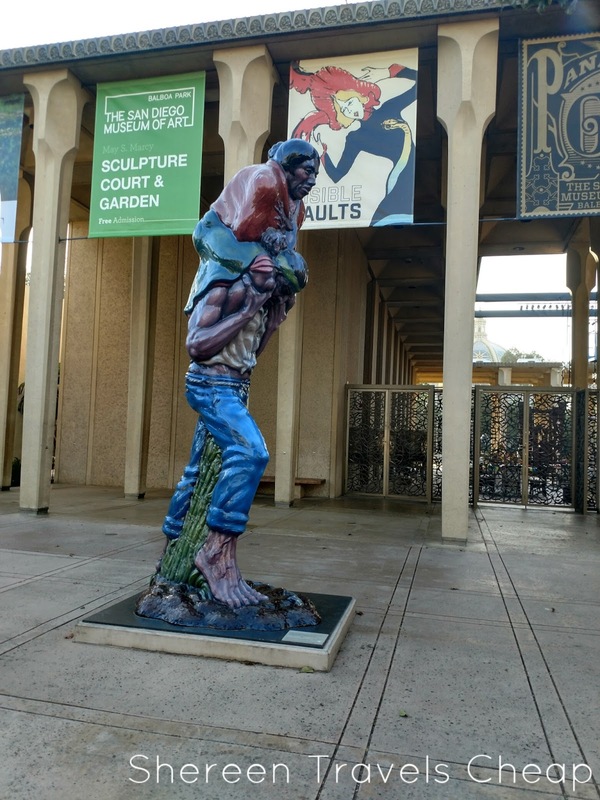 We just came back from San Diego, where Balboa Park is a huge resource for culture. We purchased an Explorer Pass for the museums there, because we knew we wanted to visit at least half of them. Several of these we're free anyway, but our pass gave them a piece of the profits as a donation when we visited, which we would have done anyway. A lot of cities we've visited have had free museums, including large ones like London. Some only have certain free admission days, while others run on donations. Keep a couple bucks in your pocket to spare for those. I know it's technically not free this way, but two dollars is still way cheaper than $18+ that lots of museums charge to get in. Got kids? This is a great way to give them a way to burn off excess energy and give you a bit of a break, but parks are awesome for adults too. Tons of large parks have more to see and do than just a playground. You might find a duck pond, sculpture garden, botanical garden, etc. 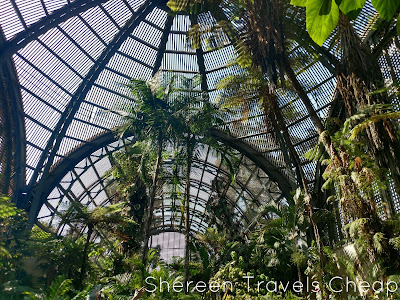 Balboa Park is full of such things, plus wildlife, bocce ball courts and more. Think ahead and get yourself a takeaway meal and enjoy it al fresco. You can't beat that, especially on beautiful days. Some hotels will loan you sports balls, bikes, or other ways to take advantage of the outdoor space. Don't be afraid to take them up on it. While most zoos cost an admission fee (some quite a hefty one), others are totally free. Check online to see what your destination zoo charges. 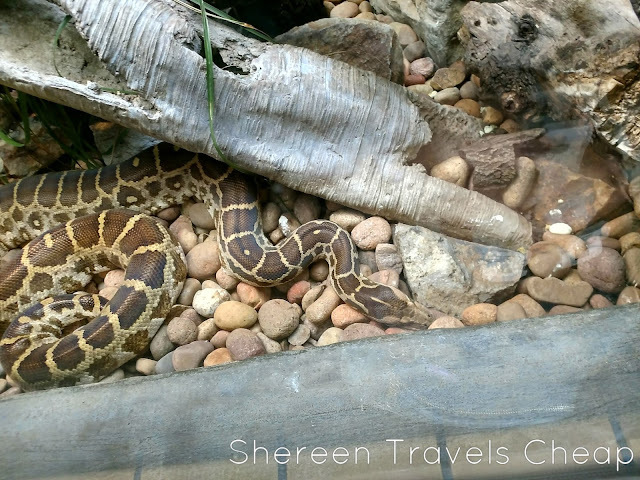 If you have a zoo membership at home that participates in AZA, you might be able to use it elsewhere for free admission or at least a discount. Just don't forget your card. Same goes for children's museums and gardens. Some member benefits extend to travel. We walk on vacation. A lot. So, I'm always looking for outdoor attractions and landmarks, like ruins, statues, historical walks and more. 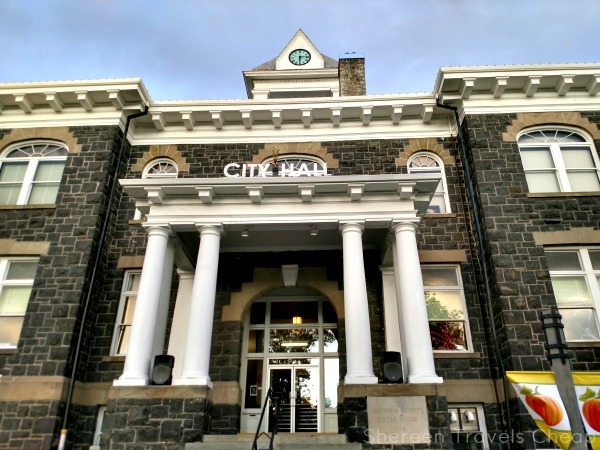 It's a fantastic way to learn more about the city and most of them are free. We went to Old Town San Diego and explored a cemetery that was discovered with radar equipment. We were able to read some of the stories of those people laid to rest there from old obituaries in the newspaper and from a history book (posted at the gravesites). I love nothing more than an excellent mural or a street performer. You never know what you'll find around town, so keep your eyes peeled for cool stuff just waiting to be discovered. A lot of cities are partnering with local artists on beautification projects, so this is more and more common in downtown areas. 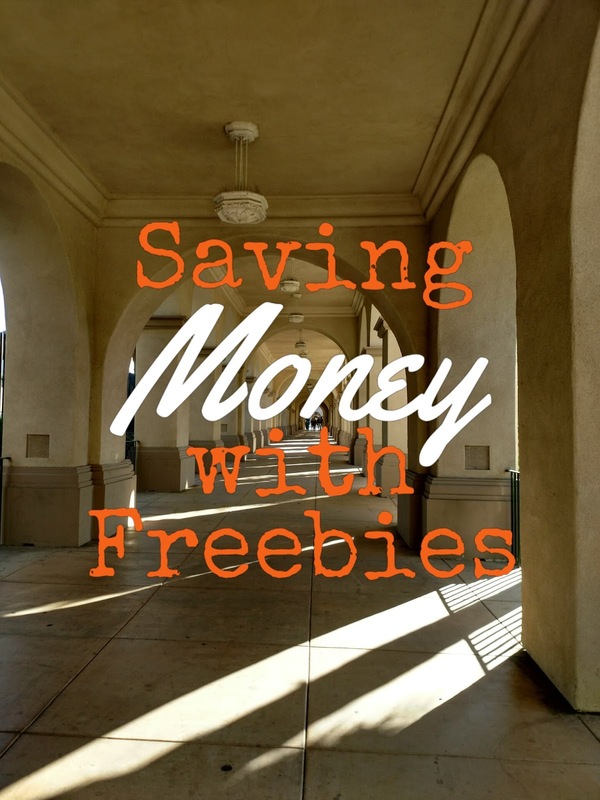 Think of how much money you can save by adding free things to your trip. You can do more and then put that extra money to a meal (or meals!) out to make it even more memorable. 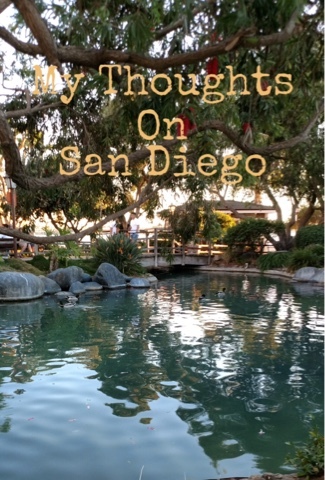 What are your favorite free things to do in a city? Fall is here! Now's the best time to travel to a lot of places, because airfare and hotel deals are less expensive than other times of the year. We tend to do a lot of things in the fall, including going on our big yearly vacation. It saves us money this way and the kids are all in school, so there are smaller crowds and fewer lines everywhere we go. 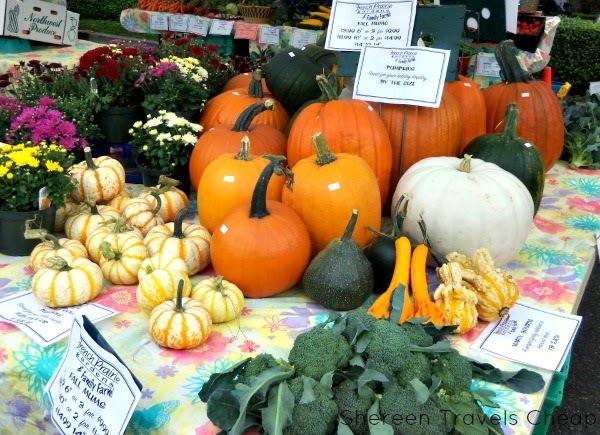 Want to make the most out of your fall? 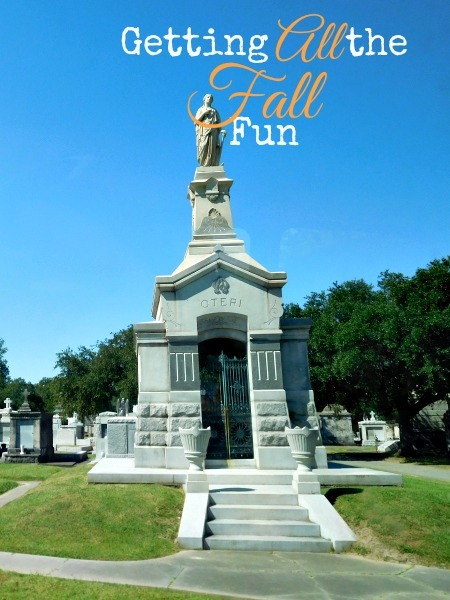 Then here are some fun ways to celebrate the season and Halloween. There are few places where you can go that are truly scary, but the New England area has a ton of history that includes witches, horror writers, massacres and more. This post gives you all the awesome things to do there. Rent a car, stay for a few weeks and drive to all kinds of awesome stuff. The Omni Royal Hotel - Once the building for the city’s slave market and the site of great brutality, the hotel is now a grand place to stay and home to many spirits. The Bourbon Orleans - This former orphanage run by nuns still has kids running along its corridors. Guests have reported hearing children’s voices, seeing nuns in the hallways and feeling electrical charges near the stairwells. Brennan’s New Orleans - A staple of the city since 1946, Brennan’s is not only a highly rated fine dining establishment, but it also has its own ghosts. In the Red Room, a man living in the building hanged himself after murdering his family. The Pharmacy Museum - Set on the site of the very first apothecary shop, the Pharmacy Museum holds a wide variety of cures and artifacts from old medical practices and voodoo rituals, including ghastly instruments used in the past for dentistry, many by the former owner, a dentist known to conduct grisly experiments on patients. St. Louis Cemetery No. 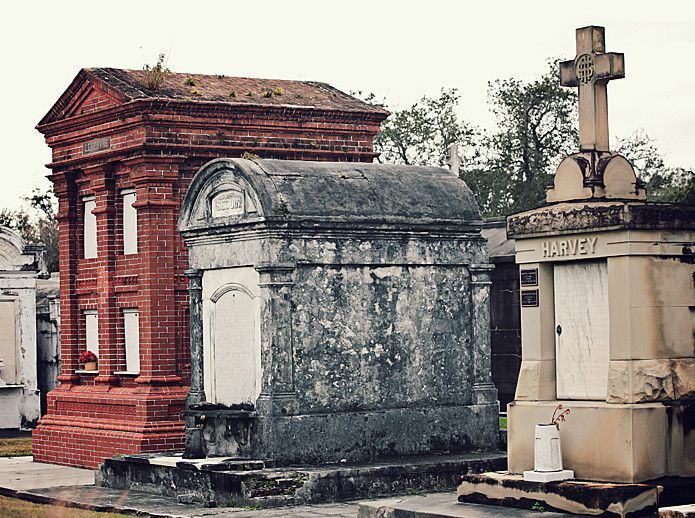 1 - Nearly everyone has heard of the Voodoo Queen Marie Laveau and you can visit her tomb in New Orleans’ most haunted cemetery. Hundreds of thousands are buried in this one square block, with the tombs being reused over and over. I don't really get excited by pumpkin carving. That might be a little weird for someone who loves Halloween as much as I do. 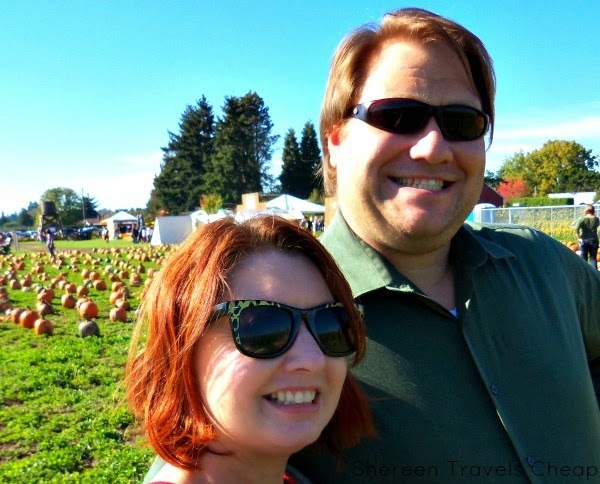 I just don't find it fun and I don't make pies, but often the harvest festivals are full of pumpkin-picking and other activities like hayrides, squash-tossing, farm animals and more. If you find a corn maze, it's not unusual for there to be pumpkin harvest festivities going on nearby. Kids love to run and pick out the pumpkin they will use for their jack-o-lantern at home and also enjoy running and around and climbing on things. We have farms that feature hay bale pyramids and tours on a farm train. Usually these days out are fairly affordable and you can even sign up to receive coupons when the celebration starts. I look forward to the corn mazes all year long. It's so fun to go out and spend an afternoon on local farms and get lost in a maze of maize! We pack up the car with a change of clothes and the dog and hope there's no mud where we will have to use our extra clothes. The mazes test our ability to read a map or our trivia knowledge. While other families split up and race each other through the maze, we view it as a fun family outing and the three of us go together. Sometimes we just let the dog go and pick our course and sometimes we use whatever clues they give us at the beginning. After we emerge from the corn, we make a trip to the gift shop, grab something warm to eat and drink and then head home. There are always great photo ops. This is similar to you-pick farms, except you can just go with your list and have fun finding them at the different stalls. Another plus to the markets is that you are getting affordable local foods and you can usually pick up lunch from any number of food merchants there, too. 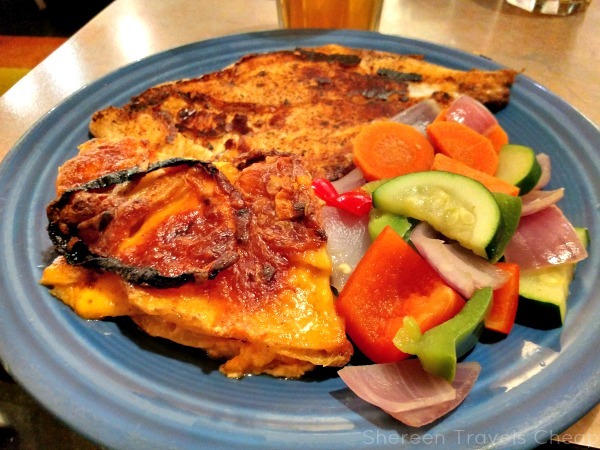 Our market up the street is a great place to get everything from crepes to tamales. When you're traveling, it's a perfect way to stock your fridge with healthy options for snacks and side dishes. I love fresh fruits and vegetables. I also love to visit local farms. I'm always amazed by what people can grow. I have my own garden, but it's not big and awesome, so I like to get ideas on how to make it better. Many of these farms let you go pick your own fresh produce. You pay by the pound and often they have a store where they sell jams, sauces and other things they make on-site. These make great gifts and souvenirs as well. Right after the grape and wheat harvests come the festivals! Food, wine, beer, you name it. Fall has tons of wine and beer celebrations everywhere they serve such things. 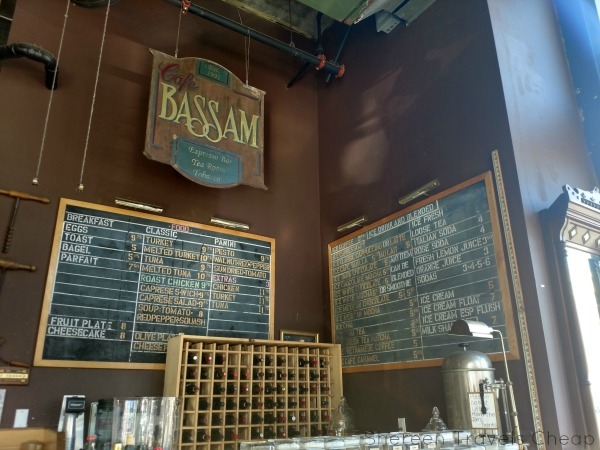 Find new favorites when you can sample all the local (and some not-so-local) varietals and brews. Most of these fests require you to buy a glass for your samples, so you already have a built-in souvenir, too! The Shanghai Tunnels under Portland. They were featured on Travel Channel’s 10 Most Haunted. Though it came in at number 10, it was the only Portland site to make the list, so by simple reasoning, it must make it Portland’s most haunted site. I was disappointed that I didn’t experience so much as a cold breeze, nor did I catch anything on my camera, unless you count dust particles catching the light of my flash and presenting themselves as “glowing orbs”, but maybe you'll be luckier (if you think it's lucky to see/feel a ghost) than I. The Dungeons are on my list of kitchy and kinda scary (if you're afraid of the dark and mirror mazes where you might be followed) and must-do attractions. The site offers best price guarantee and you can get discounted deals if you purchase a combination ticket with Madame Tussaud's and/or the London Eye. If you plan to visit off-peak hours, you can save up to 50%! You must purchase your tickets online though. Each dungeon (located in London, York, Hamburg, Edinburgh, Amsterdam and now San Francisco) walks you through the "streets" of history and winds you through creepy stories and rides that take you from one area of the dungeon to another. Paris Catacombs. 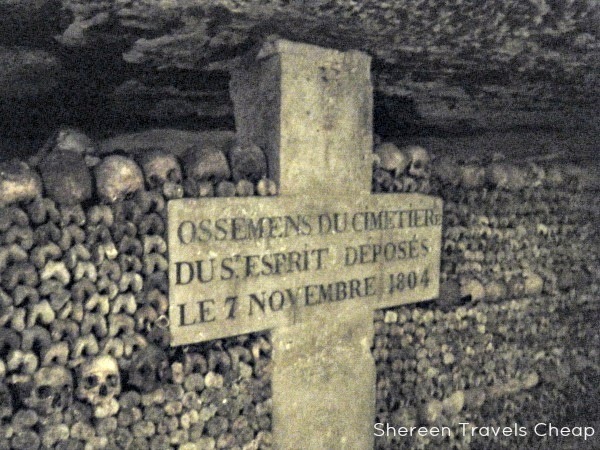 There are miles of underground tunnels underneath Paris full of human bones that were put there when the cemeteries became overcrowded. Even now they are still crowded, but with tourists. Get there right at opening and beat the crowds. Lines can stretch up to 2 hours long and with prices at only 5 Euros per person, it's one of the cheaper things you can do in France. 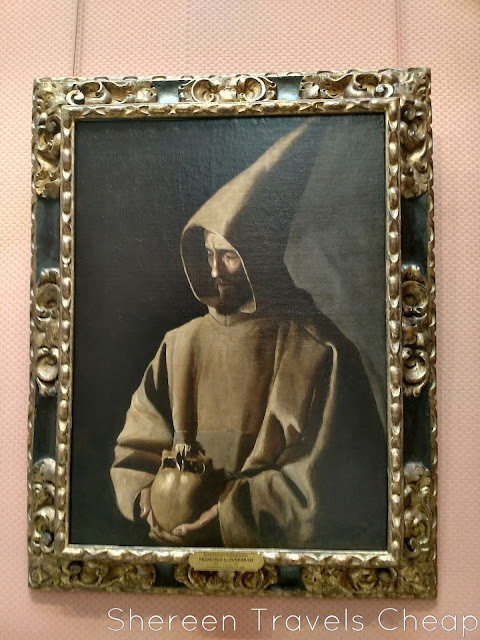 I just realized I never did a post on my trip into the catacombs, so that will be coming in the near future. Mickey's Not-So-Scary Halloween Party. Many park days at the Magic Kingdom and Disneyland in Sept-Nov are cut short for this party that requires a special ticket to get in. From 7pm to midnight, many of the park guests come dressed in costume to enjoy 5 hours of trick-or-treating, dancing, nighttime thrill rides (only specific rides will be open during that time, not the whole park), Hall-o-wishes fireworks display, an all-villain musical show in front of the castle, villain meet and greets, amazing park decorations and, best of all, a special parade opened with the Headless Horseman on horseback. It’s all totally Disney and so out of their normal festivities that it’s worth putting off your vacation until that time of year. Knott's presents Knott's Scary Farm. Save significantly on your tickets by buying them online instead of at the gate. Universal puts on Halloween Horror Nights. While ticket prices don't waver, you're sure to get your money's worth while riding select rides and being scared out of your wits with roaming creeps, themed haunted houses and scare zones. It's like being in your very own horror movie. Busch Gardens in Tampa offers up Howl-o-Scream. Much like Universal, they have scare zones, haunted houses and themed entertainment. You can't get cheaper tickets for this event either, but it'll scare your pants off, which you maybe can't put a price on. Legoland has spooky fun for the little ones with Brick-or-Treat. 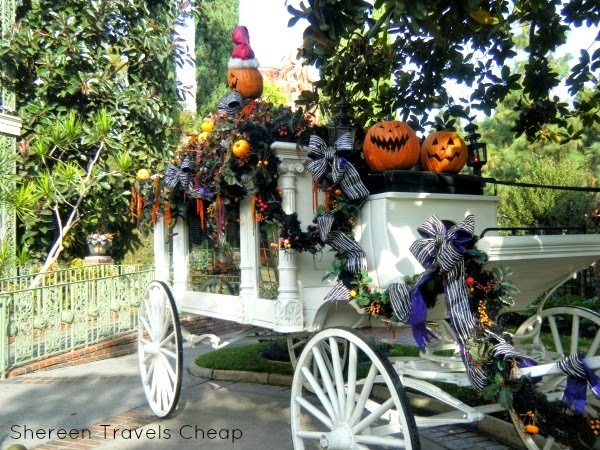 It includes trick or treating and the opportunity to dress-up and enjoy the park after it closes for the regular day. Tickets are separate from the main park admission, but totally fun! What are some of your favorite ways to celebrate fall? If you missed my trip to Halloweentown, go check that out now. I'm sure you've seen it. That cult classic movie Halloweentown, about a town where it's Halloween all the time. No, not The Nightmare Before Christmas. This is about a woman who's secretly a witch and her two children. Their grandmother comes to visit and they find out they have magic in the family...and then they go to Halloweentown. And then there are two sequels. Listen. I didn't make it. You can probably catch it a thousand times on Freeform this October, or at least once...after the Harry Potter Weekend happening right now that is. It's one of those movies that you either like or you hate. It's fun if you don't think too much about it, but it's the claim to fame of the city it was filmed in: St. Helens, Oregon. 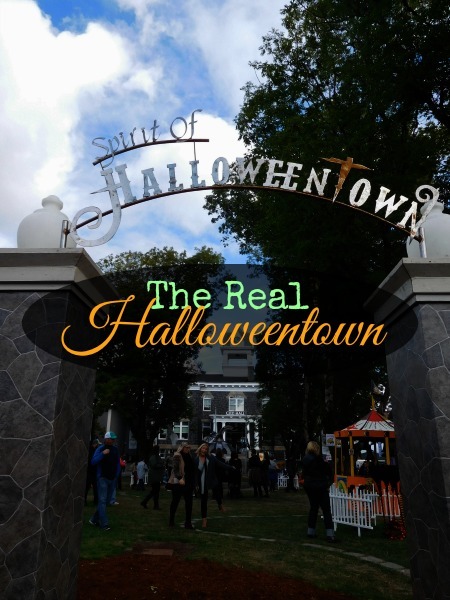 Each year they "transform" the city into Halloweentown in their own way and people from all over come to get in on the festivities. This year we had a little meetup of friends there and we all took a bunch of pictures and hung out to watch the parade. We went a few years ago and were fairly disappointed, because nothing on the "schedule" was actually happening, or you needed to book in advance. This time that was less of a problem, but still a problem. I was looking forward to filling up my Halloweentown card and earning my commemorative coin, but since there was no shuttle bus to get my card, I couldn't do that. This is in quotes because it was neither haunted, nor had any hay. 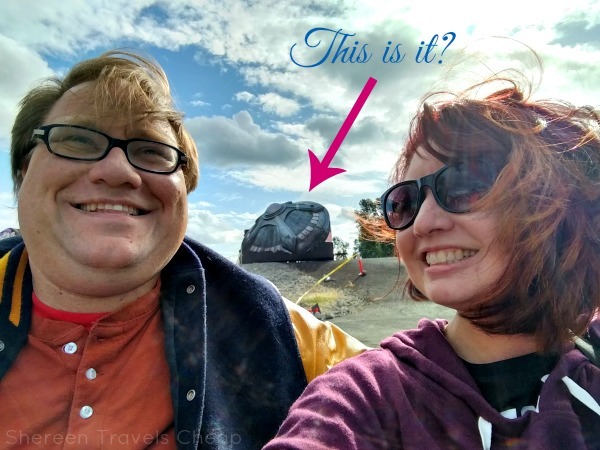 We paid $3 to be driven by tractor back through the parking lot we had just walked across to get into the main town square to see a cardboard cutout of a UFO and some sad aliens. Then the driver gave us a story about the "crash site", but he didn't turn the tractor engine off, so none of us could actually hear him. Also, this was in broad daylight. Luckily, we were able to laugh about the absurdity of it all. I won't even tell give you the satisfaction of seeing an empty parking lot. You can see other pictures we took on our last trip, but also on my Instagram. We actually were able to take a photo with Benny's cab. That's not Benny in there, but it was still pretty cool. This was a very small fenced in area with a recreation of Stonehenge that you could walk through for $1. There wasn't anything else. No monsters. No people. Just stones in a formation. That you could totally see all of. The "creatures" aren't added until the 11th (which is a weird date, since it's a Wednesday), and then admission is $3. I mean, what? I didn't even take any pictures. 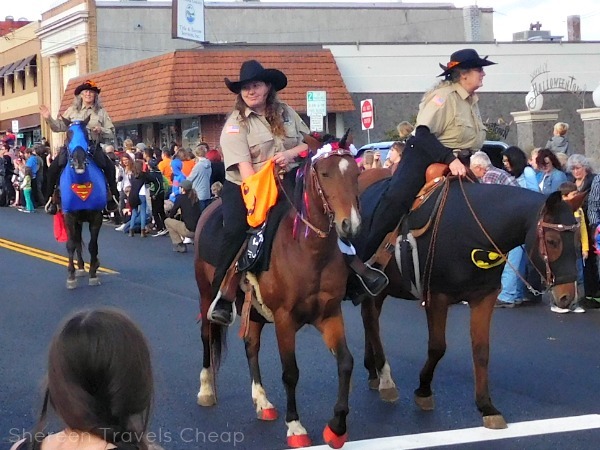 I guess last weekend was the kick-off weekend for Spirit of Halloweentown, so they hold a parade. I also guess the schedule is a loose interpretation of such, because the parade was set to start at 3pm, and we didn't see anything until almost 4pm. Granted, we were at the end of the route, but the route was not even that long. It was fun and, blessedly, short since I was starving. We actually waited longer to see the parade than the parade lasted. So, we followed it out a few blocks to get dinner. St Helens is small. There aren't a ton of options for food, but we'd been here before and liked it, and there wasn't a line like last time either. 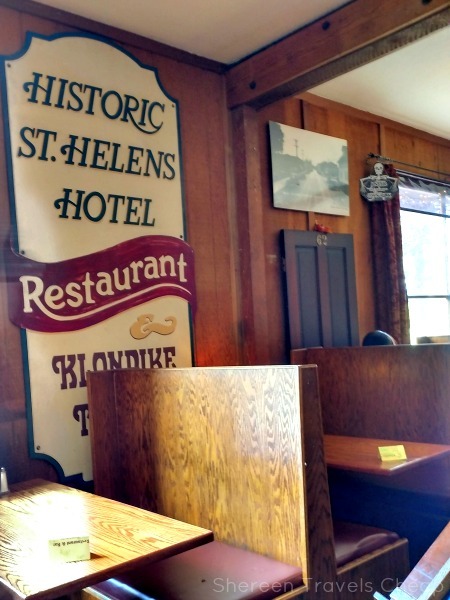 This restaurant that used to be a hotel has a long and haunted history. They decorate with the old hotel room doors and have a long list of custom and seasonal cocktails. It's definitely worth a seat at the bar at the very least. There are food carts near City Hall, but they are more snacky than anything else: nachos, chili, soup, cotton candy, caramel corn, pie. At 5pm they have "happy hour". As we were leaving, we saw the few tables they had nearby were now closed off for those that wished to buy beer (in a can) and wine (in those single sealed glasses). It started raining, so we continued to the car. For $2, we figured we couldn't really go wrong with this, but it turns out they should have charged more for the hilarity of it. The St Helens Historical Society put this together in the room of an old church and I loved it. The room itself was fantastic, but then they made these great exhibits that they added the most bizarre stories to that were super amusing. I especially enjoyed the man who lost his sight and hands in a saw mill accident and had to get his hands replaced with claws, so to make him feel better, his soon-to-be wife had her head replaced with that of an alligator. Their likenesses were made into a one-of-a-kind cake topper for their wedding. 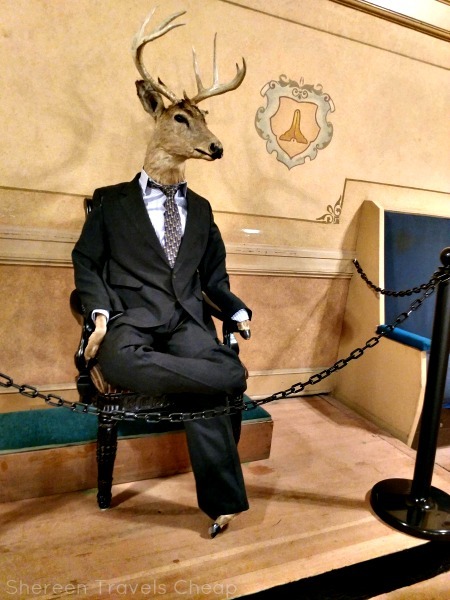 The other favorite of mine was the first deer to own his own business, which was a sporting goods shop. He was buried in his favorite suit. Ha! This totally made up for the $3 haunted hayride. This is one of the last remaining set pieces from Halloweentown, and was exhibited in the Museum of Oddities, probably because there was no better place to showcase it and keep it safe at the same time. 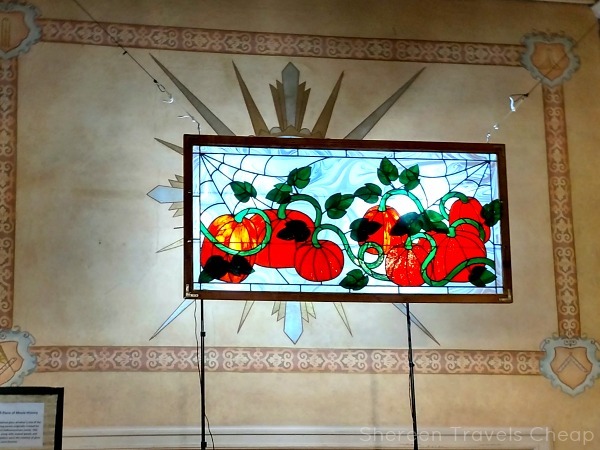 Look how pretty this stained glass is. Aside from the above things, we wandered into a few shops, took a nice turn around the downtown area, and admired the harbor. Each shopfront has their own scarecrow out front that they have personalized, which is fun, and there are quite a few photo ops around the square and other places. They had a haunted house. Well, two. One for adults and one for children. We didn't feel like spending the money for admission, considering the quality of scares we'd already endured. Despite the disappointment of the schedule snafus, we ended up having a good time. This weekend will have celebrity guests from the Halloweentown movies, a Debbie Reynolds tribute, haunted tours, live shows and readings by a psychic. 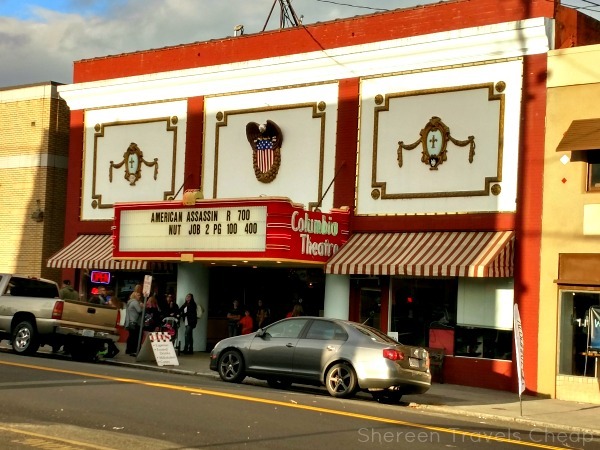 At only 45 minutes from Portland, it's worth the drive out for a few hours of kitschy fun. Bring cash. 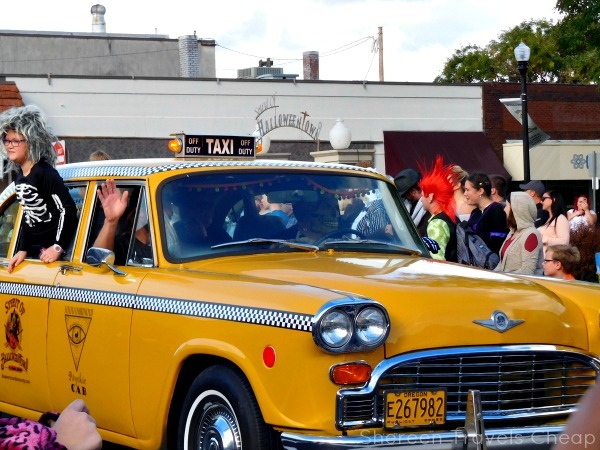 What fun, dumb, or weird things does your town do for Halloween?